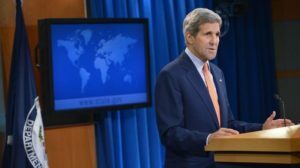 In its new annual report on human rights in the world, the State Department deplored the persistence in Algeria of restrictions on freedom of assembly and association, the partiality of the judiciary and the continuation of arbitrary detentions. The State Department paints a gloomy picture of the humanitarian situation in Algeria, enumerating what it calls “the three most significant violations” that the Algerian regime continues to perpetrate in defiance of humanitarian principles as universally known and recognized. The three most significant continuing human rights problems were restrictions on the freedom of assembly and association, lack of judicial independence and impartiality, and overuse of pretrial detention, the report states. Other abuses concern violence and discrimination facing women, and some reported child abuse. Additionally, the government maintained restrictions on worker rights and did not actively combat conditions of forced labor, the document said. Unemployment rate in Algeria stands at around 12%, one of the highest in North Africa and the Middle East. Yet, despite the severity of abuses identified by the US State Department, Algerian leaders, instead of shaking the dirt off their own back, prefer to give lessons to others, especially to the Moroccan neighbor that they accuse of alleged violations of human rights in its southern provinces. In 2015, advances in human rights matters in Morocco were rather hesitant, the report states, noting, however, that no cases of political disappearances were recorded. The report also speaks of “persistent problems” in particular in the implementation of anti-corruption law and the over-crowdedness in penitentiary centers, despite the construction of ten new prisons in 2015. The document also mentions violations of freedom of expression and freedom of the press, the arrest of journalists and discrimination against women.